You gonna take off the dead guy robe? 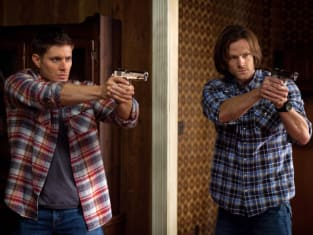 Supernatural Season 8 Episode 13: "Everybody Hates Hitler"
Oh, my god, these guys are psychopaths. Permalink: Oh, my god, these guys are psychopaths. He was my gay thing. Permalink: He was my gay thing. Supernatural Round Table: "Everybody Hates Hitler"